Carmel Indiana is chock full of gorgeous neighborhoods with fabulous amenities! 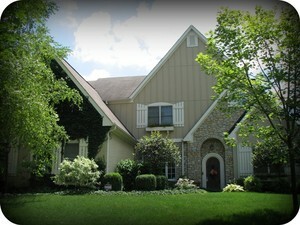 The Carmel Indiana subdivision of Moffitt Farm at Prairie View comprises 26 custom homes built between 1997 and 2004. These beautiful family homes feature eye-catching architecture and water views of the neighborhood lake. All of the homes have lower levels, most of them walk-out, with an average of 4104 finished square feet. Three Moffitt Farm homes have sold in the past six months, with the quickest sale made in just 41 days. Moffitt Farm is just a short golf cart ride away from the Prairie View Golf Club, and is convenient to the Noble West Shoppes at 146th and Hazel Dell Parkway. Students in this Carmel neighborhood attend Carmel Clay Schools.